Chef Danny out did himself today with this beast of a sammy! 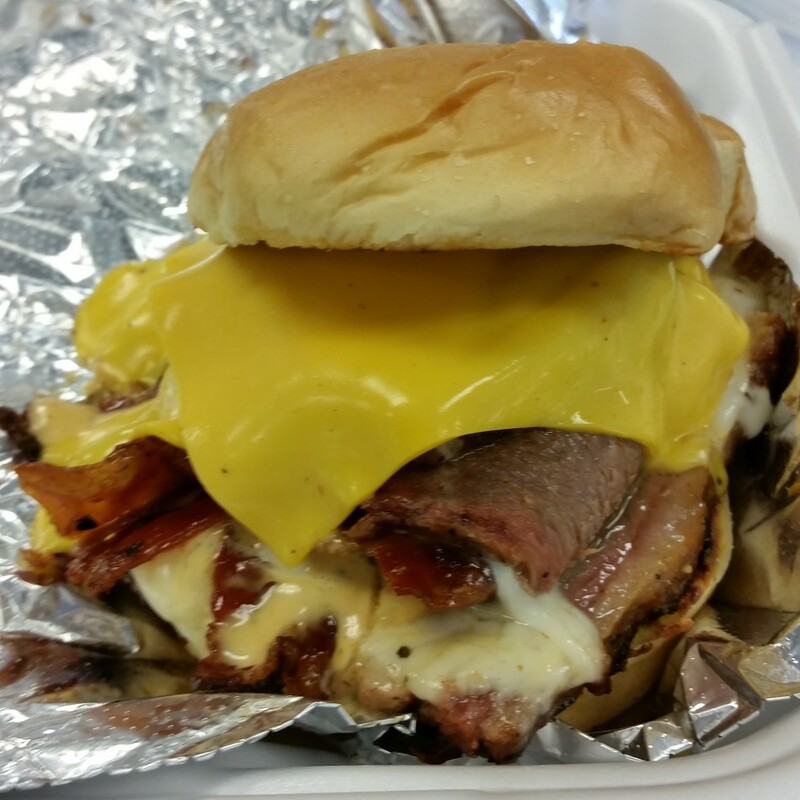 Delicious brisket, bacon, two kinds of melted cheese and chipotle sauce on a toasted bun. 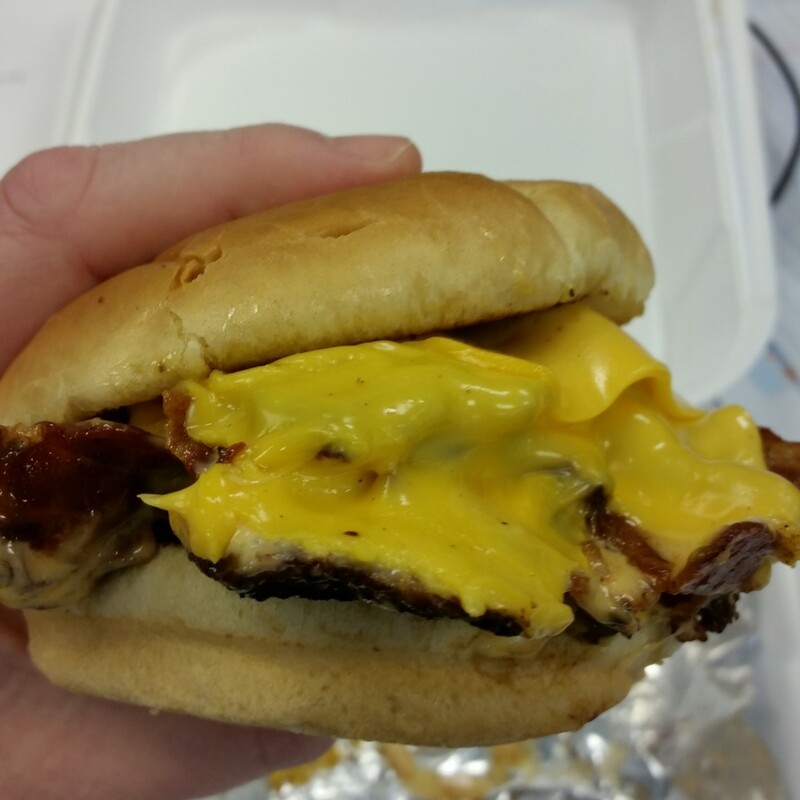 So finely assembled as to not fall apart (I think the melted cheese was his secret) while eating it. Chef Danny’s significant other, also known as Kayla with a K, has held the title for two years now. Today Chef Danny has thrown down the gauntlet and trumped her magical breakfast creations with his luncheon masterpiece. Will Kayla with K take back the title?